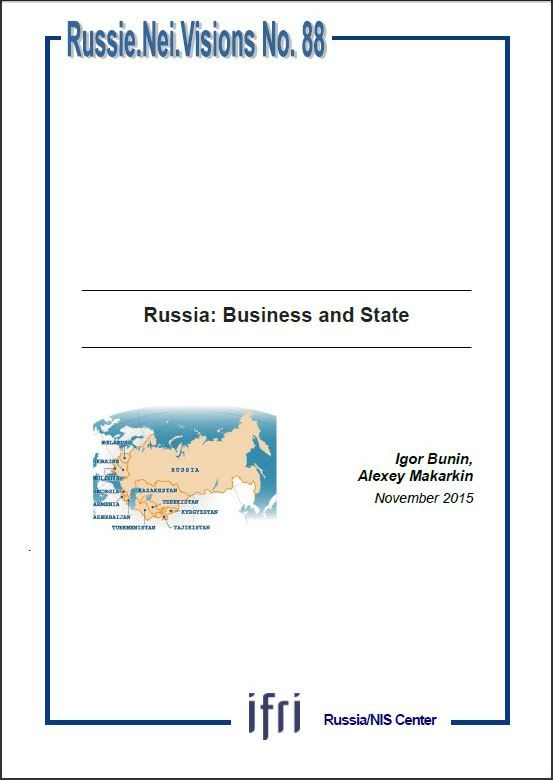 Business in Russia today is closely intertwined with the political sphere. But the forms of business’s involvement in politics have differed radically at different stages in history. Initially, business played an active role, displacing the government from its position due to its vigorous expansion. Subsequently, the state began to regroup, reinforcing its positions not just in politics but in the market too. Despite increased economic uncertainty and enormous changes in Russia’s foreign policy positions, the government currently remains the central actor in both Russian politics and the economy. That state of affairs is unlikely to change significantly in the short term. Given the domestic economic crisis and tensions in relations with the West, the Russian business community is currently falling back on the development of its own individual strategies. These are aimed not so much at growth as at survival in the new conditions. At the same time, Russian experience shows that private initiative is capable of survival in the most unfavorable of circumstances. A new “leap forward” of the kind seen in the 1980s and 1990s is unlikely thanks to the fact that the main players are older than they once were, the underlying economic structures have ossified in the meantime and there is no longer the same drive (though this has not disappeared altogether). Nevertheless, the possibility of private enterprise being reenergized should not be ruled out. Dr Igor Bunin, is the President of the Center for Political Technologies and Director of the Politcom.ru. website. Alexei Makarkin is First Deputy Director of the Center for Political Technologies. Julien Nocetti (coordination & editiing), et Cécile Campagne (contacts).